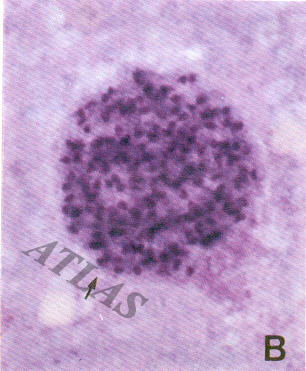 Tachyzoites of Toxoplasma gondii showing banana shape with a nucleus (Giemsa stain, 1000x). 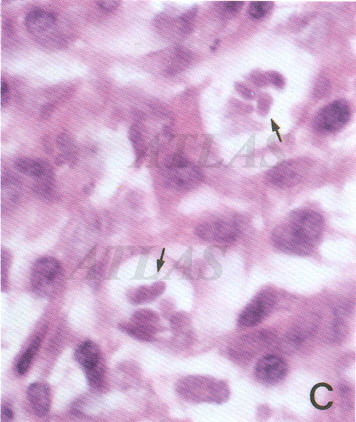 In a smear of brain tissue, many bradyzoites of Toxoplasma gondii are seen within the cyst (Giemsa stain, 1000x). 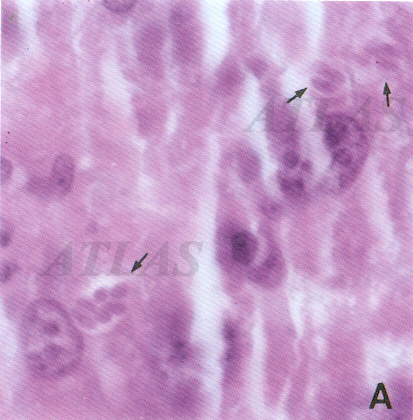 Section of liver tissue from mouse infected with Toxoplasma gondii tachyzoites multiplying in the cell of liver(A). 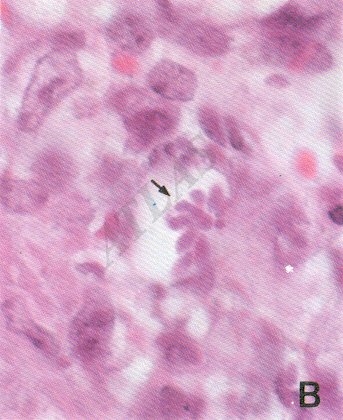 (Giemsa stain, 1000x). Section of a mouse spleen infected with Toxoplasma gondii tachyzoites multiplying in the cells of the spleen. 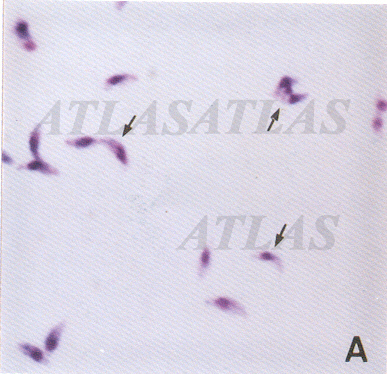 (Giemsa stain, 1000x). A section of mouse lymph node infected with Toxoplasma gondii tachyzoites multiplying in the cells of lymph node(C)(Giemsa stain, 1000x).